This glassware is laser engraved with Pilot Wings and can be personalized with up to 15 characters (including spaces) of your choosing. Pick an “N” number or last name, or choose something creative. Personalization will be centered under the Wings. Pint glass holds 16 oz. with room for a nice foamy head. Highball glass and tumbler both hold 12 oz. Set of 4. Hand wash. I PURCHASED THESE ALSO FOR A GIFT, AND ON ONE OF THE GLASSES, IT SEEMS THAT THE ETCHING CHEMICAL TOUCHED ANOTHER AREA OF THE GLASS AND IT HAS A SMALL SMEAR OF THE ETCHING, OTHER THAN WHERE THE WINGS AND NAME ARE PLACED. AGAIN, NO TIME FOR RETURNING SINCE ORDERED AS A GIFT. Got theses for my dad for his birthday. He loved them! I personalized them with his last name. He can't get enough of them! 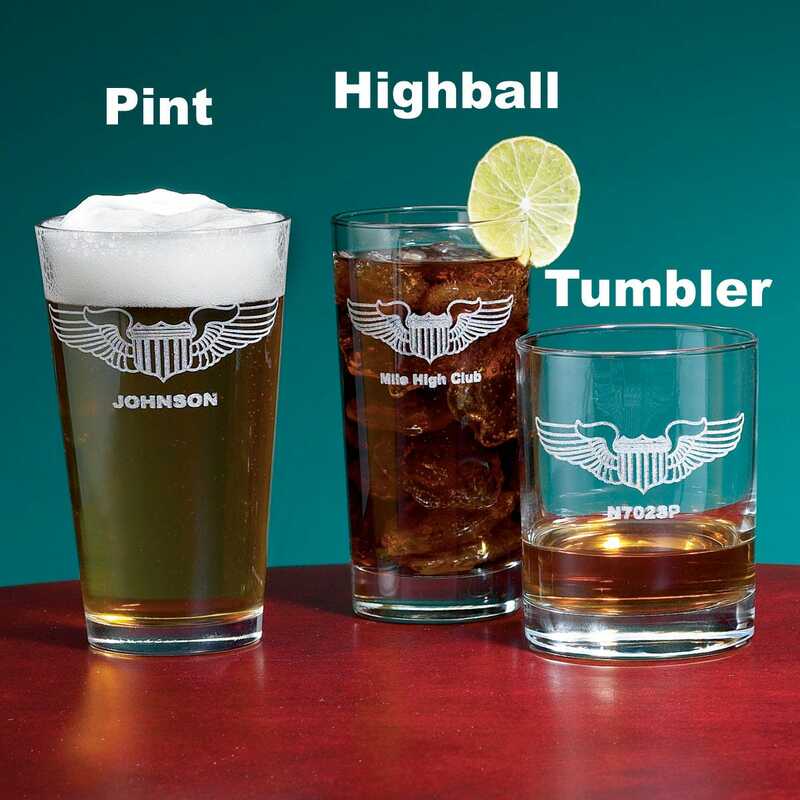 The highball glasses are easy to wash, he has larger hands, and they are the perfect size for him. Thanks Sportys! 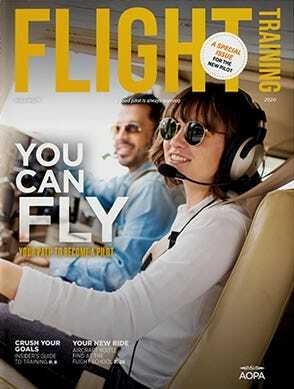 It's a great gift to a pilot friend. Great solution to a Christmas gift problem. Very nice etched glasses. Happy with the quality. Cons: Glasses were more lightweight than I expected. Also the engraved personalization was very faint and hard to read. The glasses are beautiful! They look even better in person than they do in the magazine! Purchased glasses for my husband, he is a police helicopter pilot, and he loves them. Since it is a set of 4, Could I modified the purchase for it to be 1 pint, 1 highball, and 2 tumblers?? BEST ANSWER: These are sold as a set.